The Shrunks Toddler Travel Bed ensures a safe, comfy night sleep when you’re out-of-town (or transitioning from the crib to a bed at home). Designed for ages 2 and up, this portable, inflatable bed is perfect for your little “big” kid. Standard crib sheets tuck into the inner mattress and built-in side rails keep tots secure in dreamland. It takes just thirty seconds to inflate with the included electric pump (bet you won’t miss assembling that pack ‘n play) and travels easily in its carrying bag. 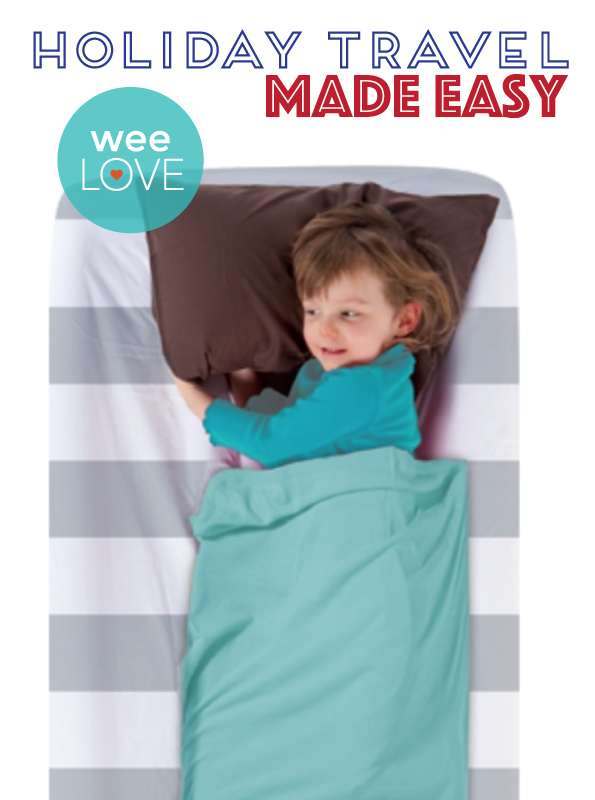 Better yet, the mattress is made with materials that are phthalate-safe, BpA-safe, and lead-safe. From hotel stays to sleepovers at Grandma’s house, everyone can rest easy thanks to this perfectly-sized travel bed. Previous story weeLove: Democracy—Make a Plan to Vote!